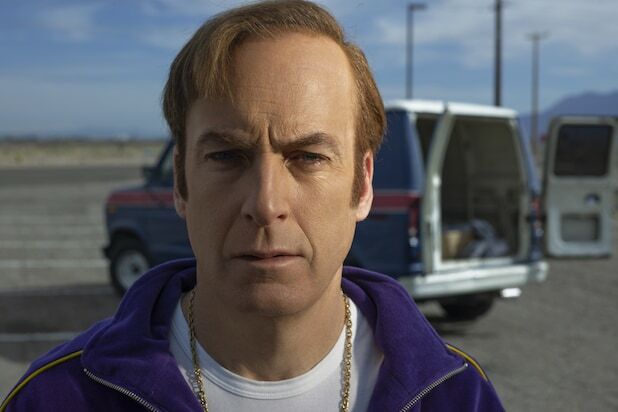 Will 'Better Call Saul' Go Full 'Rosencrantz and Guildenstern' on 'Breaking Bad'? 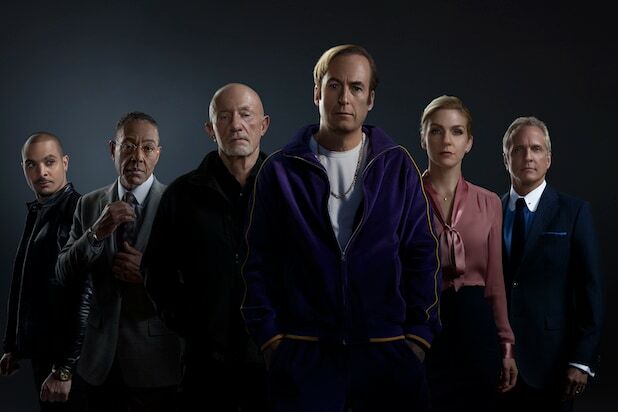 Showrunners Peter Gould and Vince Gilligan wouldn’t say for sure, but they did indicate that they’re considering the latter possibility at the “Better Call Saul” panel Thursday afternoon in Hall H at San Diego Comic-Con. Although Gould and Gilligan didn’t confirm whether that’s something they’ve got cooking already, their responses definitely made it seem like the idea isn’t brand-new to them. “We have, we have,” Gould added. Gilligan previously divulged that the upcoming Season 4 will have some scenes that take place in the “Breaking Bad” timeline. But whether or not the entire show will get to that point remains to be seen. “We’re still trying to figure it out,” Gould said at Thursday’s panel. “Better Call Saul” Season 4 premieres on AMC on August 6.